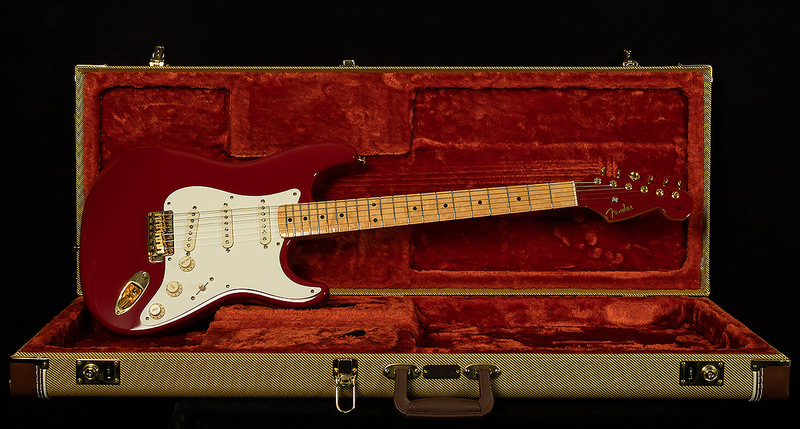 This lovely '58 Stratocaster wears a beautiful Candy Apple Red Metallic finish, and it's quite a rare bird. As its serial number implies, it is number 12 of a limited run of 30 guitars. Rarity aside, it is a total sonic powerhouse. It has a remarkably articulate, woody, percussive attack with a bit of vintage sag that gives way to some really nice warm resonance with lots of blooming overtones. Overall, it has a midrange-forward voice with meaty lows and chiming highs. 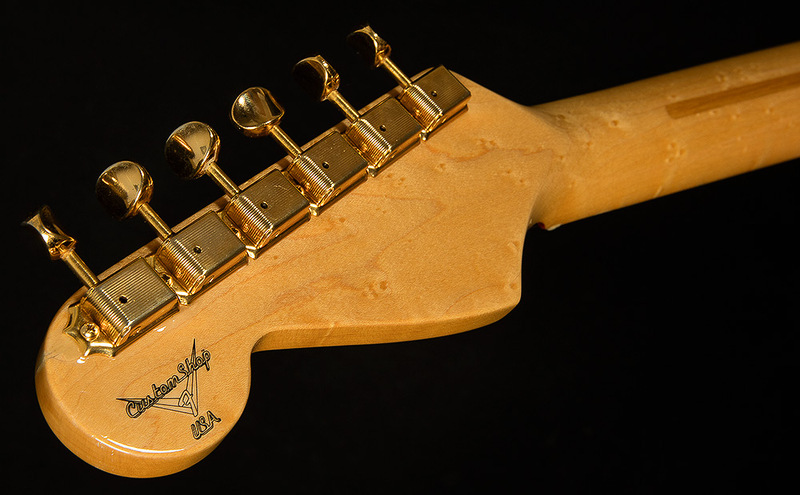 The midrange sounds broad and sonorous in the neck position, then responds with more and more of a focused, vocal quack as you make your way towards the bridge position. 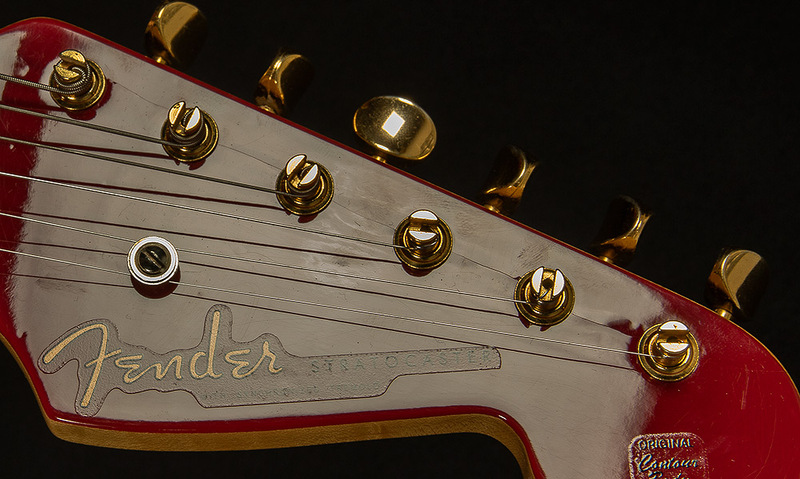 Anyone looking for a warm-sounding Strat with plenty of vintage vibe will love this serial! 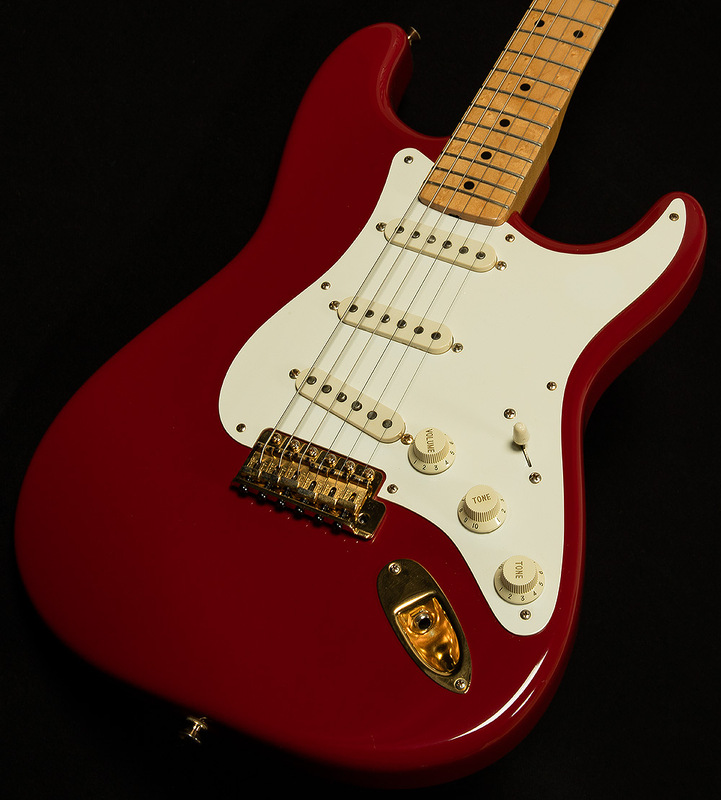 This lovely red Stratocaster is in excellent shape, but it has a few cosmetic issues worth noting. 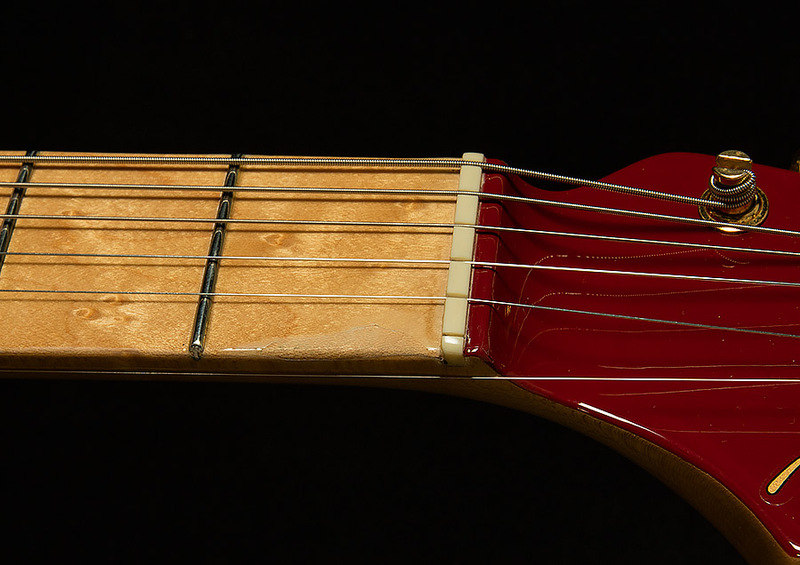 There's a section of lacquer missing under the high E string near the first and twelfth frets. Honestly, it looks cool--sort of like the fretboard wear a Custom Shop relic'd guitar would have. 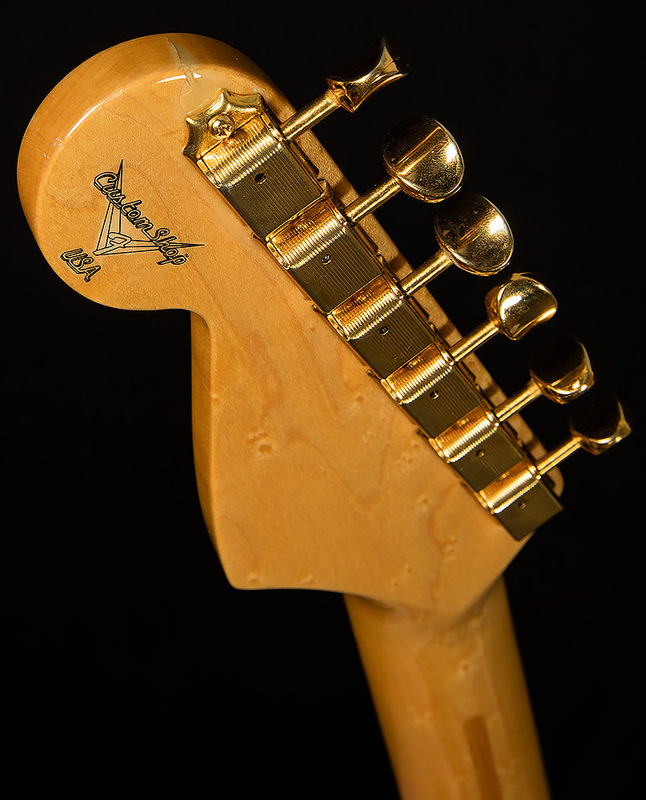 The lacquer on the headstock has suffered some de-lamination, and there is also a hairline crack along the tuner path that looks to be purely cosmetic. There are a few light dings and scratches on the finish (particularly on the back), but nothing too serious--just a bit of honest gigwear. Speaking of gigwear, there is some light tarnishing on the hardware. Finally, the guitar is missing its back plate. But, the frets still have lots of life left, and the guitar still looks sharp. If you can look past these cosmetic issues, this is your chance to score a rare (only 30 exist!) 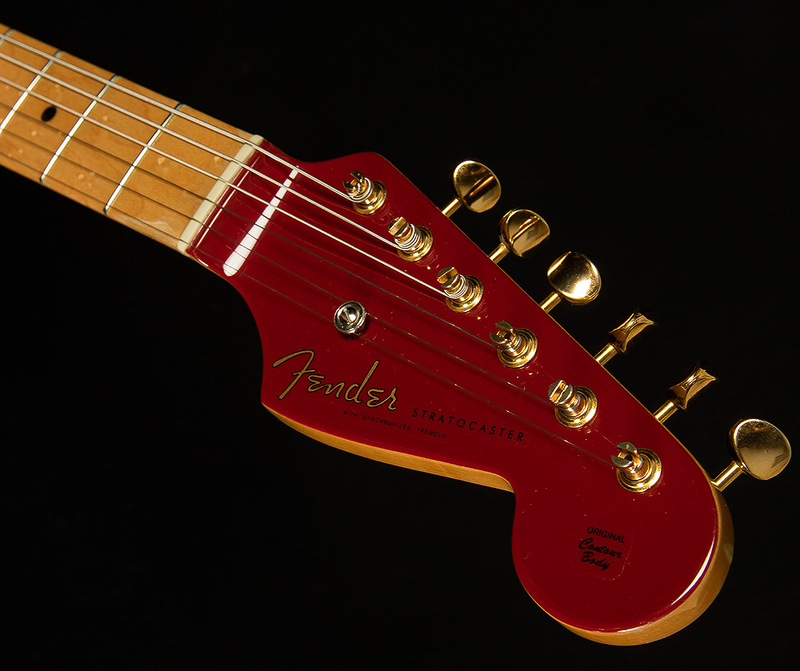 piece of Fender history at an exceptional value!